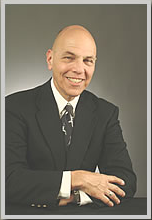 Attorney Richard T. Roznoy has been practicing in the Connecticut and United States (District of Connecticut) Bars since 1994 and, since 2009, in the Courts of the Commonwealth of Massachusetts. He is a former university professor, public school teacher and performing classical musician, and serves private, commercial and public sector clients from his office in East Granby, Connecticut and his home base in Amherst, Massachusetts. He has served municipal, regional and state governments, as well as corporations and non-profit organizations in their work to expand solid waste recycling programs in Colorado, New Jersey, New York, Pennsylvania, Massachusetts and elsewhere. Attorney Roznoy's practice includes civil litigation, with an emphasis on land use litigation (adverse possession, easements, boundary line disputes) and family law (divorce, custody issues). He is also specially-trained in divorce mediation, serving clients in a cost-effective manner, and provides legal services for real estate transactions, commercial development, probate-wills, trusts and estates, and education issues for students with needs. Attorney Roznoy was recipient of the Connecticut League of Municipalities award for his work on the impact of aquifer protection on zoning, Aquifer Protections in Connecticut, and is the author or co-author of articles in the Connecticut Bar Journal and Connecticut Lawyer on aquifer protection and municipal rights to control development, as well as other articles on environmental issues. Utilizing the latest in computerized legal research and communication Attorney Roznoy provides personal, customized service for his clients in Connecticut and in western Massachusetts. When you need to talk to your attorney, you speak directly with Attorney Roznoy. Evening and weekend consultations are available by appointment. Interested parties should contact Attorney Roznoy via email at RTR@RoznoyLaw.com or via telephone for a complimentary, confidential individual response. Attorney Roznoy is a graduate of the University of Michigan and the University of Wisconsin; he earned his Juris Doctorate from the University of Connecticut School of Law in 1994.